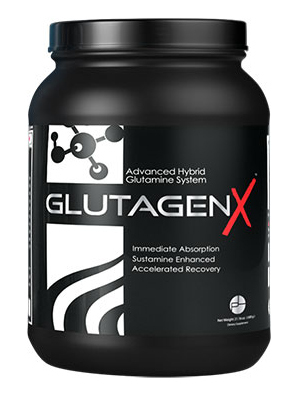 GlutagenX is our newest Recovery formula.. It’s a Hybrid Glutamine System which combines: Sustamine (A Di-Peptide Bonded Glutamine and L-Alanine Amino Sequence) The DiPeptide bond allows for it to bypass traditional breakdown and be rapidly absorbed by special receptors along the intestinal wall. 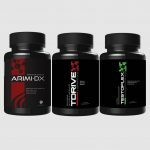 This means ultra absorption, faster recovery and less muscle breakdown. 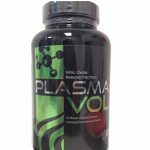 It’s clinically studied and has several studies backing up it’s efficacy towards muscle recovery, rehydration, and overall immune system strengthening. 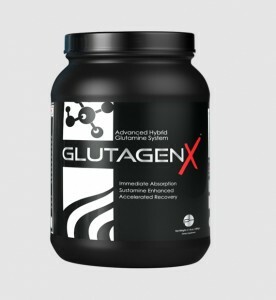 But we didn’t stop there, we also added Magnesium Glycyl Glutamine and AjiPure LGlutamine. Magnesium Glycyl Glutamine is a patented and highly absorbable form of L Glutamine. Free form Glutamines and L Glutamines available from most companies are not stable and decompose readily in the digestive tract and are, therefore, unable to sufficiently provide the benefits associated with Glutamine except in large doses which could result in toxic buildup. 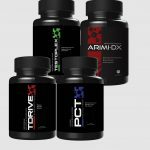 Albion Labs has developed and patented the only stabilized Glutamine which is Magnesium Glycyl Glutamine and clinical studies show that the molecules remain stable in solution which makes it the only stabilized glutamine in existence. 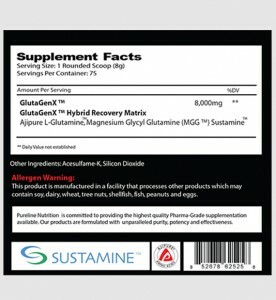 Lastly we added AjiPure L Glutamine for the sake of having the best quality L Glutamine and Amino Acid structure on the planet! 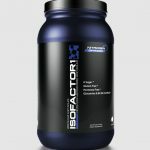 Suggested Use: 1 Scoop 3-4 x per day especially before, during and after intense workouts or training sessions. Mixes well with juice, water or protein shakes. taste great! oh yeah it’s perfect for recovery too.